You know hip, cool and trendy when you see it. There is no clear path from Nhulunbuy…..to…. hip, cool and trendy!! Dana was in Year 10 at Nhulunbuy High School and she wanted to become a hip, cool, trendy graphic designer. But Dana lived in Arnhemland. Her Dad worked at the bauxite refinery. Her Mum was from the Philippines. Her little sister was in primary school. They would do anything for her, but they had no idea how to help her to become a graphic designer. Dana was facing barriers that stop thousands of students reaching their potential. Talent gets left on the table everyday. But sometimes it can seem like magic happens. Dana’s greatest asset was herself. Her talent and determination drove all of us to believe in her dream and do what we could to support her. Subject choices were limited at Nhulunbuy High School. In Year 11 Dana did more. She enrolled in Information Processing and Publishing externally via the Open Access College in Adelaide. Dana’s greatest source of support was her talented and wonderfully enthusiastic art teacher who said, “YES Dana. You CAN be a designer.” AND proceeded to teach her how. It is amazing how helpful people will be if you only ask. Dana’s dream was big. Her steps were small. She read magazines, worked at her art, kept looking for opportunities and studied externally. She talked to her family about design courses and talked to anyone who would listen about her dream. Dana’s journey wasn’t a fairy tale. She overcame many barriers. When she left school she went to work in the bauxite refinery where she saved money to pursue her dream. Dana had graduated from a small remote high school. She found a university that wouldn’t overwhelm her. She was the first in her family to go to university and needed that university to provided appropriate support. She relocated to university leaving her her family behind in Nhulunbuy. Dana did it. She graduated with a Bachelor of Design from Queensland College of Art. You can help talented heroes like Dana to achieve their dreams. 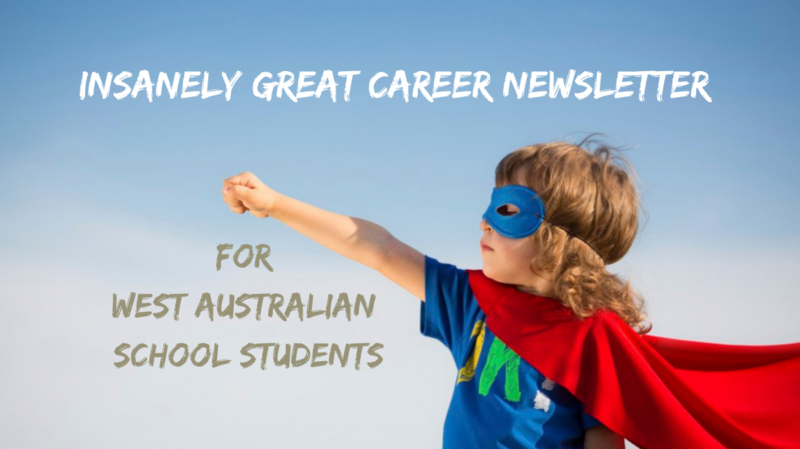 Becoming an expert in career news and opportunities via the In Focus Careers Newsletter. Sharing teaching resources with other careers teachers. Alice Sounness from John Curtin College has already shared some of hers which are posted here. Ask me for help if you have a student who is facing barriers. I will see what support I can rally through the In Focus Careers network. Categories: Career Advice, Parents | Permalink. Thaks Bev Johnson! you have amazing writing skills I got a lot of things from your posts. You are just amazing.